Michelle (aka Mimi) is the owner and solopreneur of The Texas Homemaker where she focuses on creating helpful articles, information, and products related to intentionally planning your life at home and for entrepreneurs at the office. Michelle shares how a site audit earlier rather than later would have saved her over $1,000 and a year of wasted time, plus a year of missed traffic and higher conversion, and a loss of peace of mind all that time. She also shares why it cost her twice to higher cheap up front, and then have to clean all that up later. 00:01:15 What prompted Michelle to get an audit. 00:02:30 Michelle’s reaction to what we found in the audit, especially the plugins. 00:02:45 Where Michelle got referrals for the plugins she was using. 00:04:20 The critically important info you can learn from performance testing. 00:05:30 Knowing when to keep a resource hog plugin. 00:06:30 Performance issues that you can only see with a site audit and how it helps you prioritize what to change and what to keep. 00:07:20 Issues with the backup and changes that had to be made to it. 00:09:00 Discovering how many plugins left orphaned files behind after deletion. 00:09:30 Why Michelle needed to change host providers, even though it had been recommended by a big name guru. 00:14:30 Why free costs more in the end and why it’s important to invest in the intellectual capital of your business by getting educated. Michelle explains how much money, time, and worry she could have saved if she had gotten a site audit sooner rather than later. 00:18:00 Why you MUST test your backup restoration. 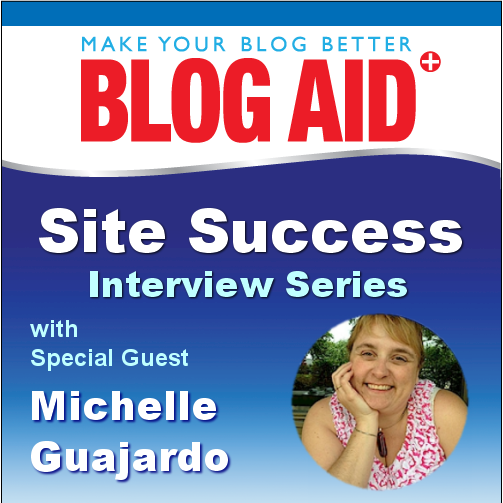 Michelle shares how one site owner lost it all including her site, all her SEO, and business during the downtime and rebuild. We also discuss restoration for 3 top plugins. 00:21:40 Michelle shares how she learned everything the hard way, how much money and time she has lost, and now how she properly vets those she hires and the resources they recommend. 00:22:15 Before someone works on your site, get a detailed checklist of what will be done and the expected results. 00:24:20 How to shorten the learning curve and avoid expensive rookie mistakes. 00:25:15 Michelle shares how much the education from the site audit is helping her DIY her own site maintenance now. 00:26:20 What we actually saw in the audit and how educational it was. Michelle shared how important it is for site owners to not feel like they have to be geeks to understand what is happening with their sites. 00:27:50 Extra costs incurred to clean up what other techs had done incorrectly. She also shared where to try to save money and where not to. 00:32:30 How having a detailed plan of action saves money and time, plus how clients can drive costs up or down by how they participate in the project. 00:35:30 The benefits Michelle saw immediately after her audit. 00:37:20 What Michelle has left to do that she can do on her own. 00:39:00 Site advice Michelle wishes she had known starting out.